Good Monday Morning. I hope your coffee is hot and your your work week short! If you’re a student, this is one of the best times of year. I always remember the feeling of the final few weeks of classes before the Christmas/Holiday break. Maybe you’re heading south for some riding or just hanging out at home with family and friends. Either way, it’s a fun time of year. Here in Southwestern Ontario, we had a freakishly warm Sunday. We were actually just one degree shy of tying the all-time record of 16 degrees Celsius. That meant Gopher Dunes decided to open the gate for one last time this season. If you’re from the Lower Mainland out in BC, it may sound crazy to you that we can’t ride this time of year, but it’s normally true. No, I won’t bore you with the details or go into a Wayne’s World-type memory sequence. Just realize how rare it was that a track opened in this area in December and we’ll move on. Of course, we’re back to more normal conditions here today with the chance of snow flurries. If you didn’t get out yesterday, get ready to wait a while! The big news over the weekend was the scary incident that happened out in Chilliwack, BC heading into Round 4 of the Future West Moto Canadian Arenacross Championships. The way the schedule works at these events, riders get their practice in the afternoon before they clear the building and everyone heads for dinner before coming back for the night show. Pro riders were out on the track for their practice when a flagger crossed the track and was hit by #9 Cade Clason. It was in one of the faster sections of the track and both the flagger and Cade were sent to the ground hard. I spoke with Cade Sunday afternoon and you could really tell he was shaken up. Cade said that he ended up with his hand in his front wheel and managed to get it out as he landed on top of his bike. The result was a horrible gash in his femur that began pouring blood at an alarming rate. Of course, the concern is the femoral artery that will see a person bleed out very quickly, so getting that attended to was the medics’ first and foremost concern for Cade. His leg was badly swollen, too, so they had the added concern that perhaps his femur was affected. The flagger was down and unresponsive, at first. Taking a hit from a speeding bike when you’re not expecting it has got to be bad! She was taken in an ambulance to where a helicopter was to pick her up to speed her to the hospital. When the ambulance then left the landing site and drove away, the worst was feared, but was not the case. Due to circumstances beyond our control, racing for Saturday, December 1st has been cancelled. Future West Moto apologizes for any inconvenience. A flagger was injured during Pro Practice. She is in an intensive care unit and is currently doing well. Thoughts are with her. Cade Clason was also involved in the incident and is also doing well. FWM thanks you for your concern. Heartfelt thanks for your understanding, concerns and well wishes. I would like to update everyone on the flagger that ran on to the track and got hit. She is doing very well, she remembers everything, they will be getting her out of bed in a couple of days and she will be in a brace for 6 weeks. I will keep you updated of any changes. Being a photographer at so many races, I probably cross a hot track more on one race day than most people do all season. I know how scary it can be. I have no idea why she would have crossed the track when a bike was coming, but she obviously thought it was clear. I’m not going to speculate at what her reasons may or may not have been. I do know that many times I have been in a blind spot and had to walk some extra distance to cross at a place where I can look back at the track in the direction the bikes are coming. Sometimes, I know the track is clear, but I still stare back at the track to make sure, and to show the officials that I’m being extra careful. That’s great news that the flagger is going to be all right. The concern is that the owner of the facility may be over it after this type of thing, but let’s hope not. It was a freak accident that rarely ever happens. I’m told that the incident even made the local TV news. Funny how they never cover the event when it goes without any problems. Hmm, weird. Thanks for nothing, TV News. How about you talk about the great racing and family atmosphere while competing or spectating at an event in your area? Nah, didn’t think so. Anyway, good luck to both people involved. Glad to hear everyone is going to be fine. 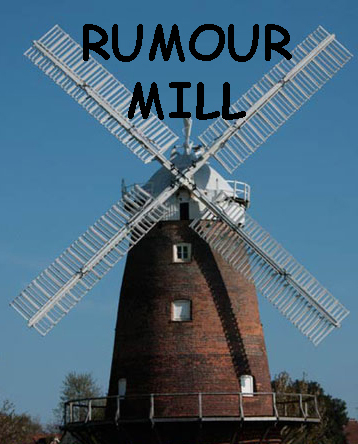 We’ll end this Monday with some goods from the Rumour Mill. This is always a fun time of year to make some educated guesses. The big move that everyone was waiting for was whether or not MX101 would finally be able to run a #1 plate. Well, that doesn’t look like it’s going to happen…again. Shawn Maffenbeier will head to the 450 class on the Rockstar OTSFF Yamaha team. Matt Goerke will head to the Monster Alpinestars Piller’s Kawasaki team. Mike Alessi may end up in red over at the GDR Honda Fox Racing team with help from the MotoConcepts guys. And did we hear that Dylan Wright may also be going green on a 250? And what if the Club MX/Trader’s/Redemption guys come back to Canada with Josh Osby and Cameron McAdoo? Does Cameron become the instant favourite? 250 Jake Tricco, Joey Crown??? 250 Jake Tricco, Joey Crown, Sam Gaynor, Jesse Wentland??? So, with these moves, spots are opening up as fast as they’re changing! It’s like a big game of Tetris and there are still a lot of questions to be answered. None of these moves are official yet, so we’re just letting them spin on the old rumour mill for now. Team managers don’t like to answer their phones when they see my name pop up at this time of year.